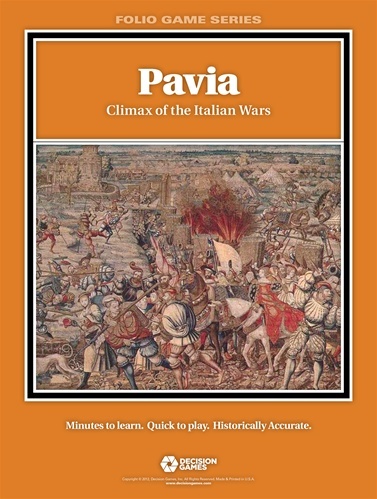 Pavia was the climactic clash of the Italian Wars, a decades-long struggle between Valois France and Habsburg Spain for control of Italy. Both sides have nascent pike-and-shot armies, the French still relying upon feudal knights, and the Spanish increasingly dependent on new individual firearms. Both sides also relied on mercenaries: Italian musketeers, Swiss pikemen, German Landsknechts. 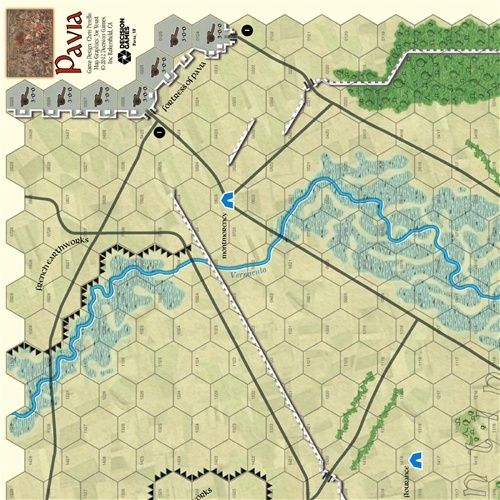 Tercios, too, are in their infancy; at Pavia, the battle is fought by smaller formations maneuvering in a broken, wooded area. 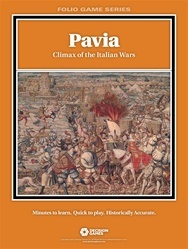 Pavia uses the new Pike & Shot game system to portray the battlefields of the early gunpowder period. Infantry is based on pike formations with varying numbers of attached musketeers. Other musketeers operate independently, useful for skirmishing but vulnerable to both infantry and cavalry. Shock power comes from heavy cavalry, armored horsemen armed with pistol and sword, but relying increasingly on firepower to wear down opponents. Light cavalry roam the battlefield, too weak to stand up to their heavy cousins, but ruthless during a pursuit. The newest form of horsemen are the dragoons, men trained to fight mounted and on foot, ideal for seizing key points in advance of the main body. Artillery is still in its infancy; the large, powerful guns are all-but-immobile. However, different armies at different times experiment with lighter, more mobile weapons. 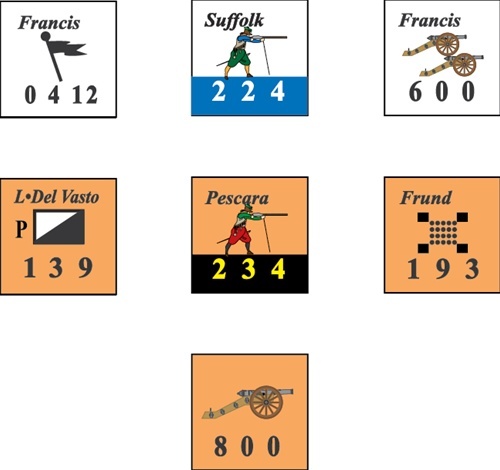 In Pike & Shot, players must coordinate their artillery and infantry to begin breaking up enemy formations, then follow up with cavalry to finish the job. Deployment must take into account the eventual rattling of even the best infantry, using multiple lines to ensure fresh formations are available to fill gaps and take up the fight. Leaders are essential both for encouraging troops in combat, and rallying those who have drifted out of the action. Every combat is crucial; once an army starts breaking, it can degenerate quickly into rout.